The treatments for asthma are found to be effective when it comes to reducing the symptoms in the short term. However, when there is persistent and chronic inflammation, then there is structural changes in the asthmatic patient’s airway passage and this becomes difficult to reverse. According to a study carried out, it was discovered that when one of the body’s vital regulatory systems or cellular recycling systems, also known as autophagy gets activated, then it was observed that changes take place in the asthmatic patient’s lungs whereby there is progression in the severity of the disease. Due to this cellular recycling system or autophagy, the asthmatic patient’s lungs undergo various changes. The lungs gain excessive muscle mass and more amounts of extracellular proteins like collagen contribute to breathlessness, acute asthmatic attacks and even at times the lungs fail to function. The study was published in the American Journal of Respiratory and Cell Molecular Biology. The authors say the cellular recycling system gets enhanced in asthmatic patients. With this discovery they say that treatment should be targeting the cellular recycling system pathway which would help in re-modelling the airway in asthmatic patients. Dr. Pawan Sharma, the lead investigator of the research at the University of Technology Sydney (UTS) says autophagy or cellular recycling system is important in maintaining normal tissue homeostasis. Earlier cellular recycling system was associated with various diseases, but only recently the researchers have found a link to asthma. The study was conducted using various in vitro and in vivo approaches from murine specimens to human lung specimens. They were of the opinion that cellular recycling system is closely linked to airway re-modelling in asthma. This is a great breakthrough as they can target treatments for asthma. KielanMcAlinden, a lead author and a Ph.D. in UTS Graduate School of Health says that due to changes in the airway, such as the thickening of the basement membrane in the lungs are associated with the development of asthma and is also seen in young children as little as three or four. They have shown that there is a definite connection between an increase in airway smooth muscle mass and an increase in the cellular recycling system biomarkers in an asthmatic patient’s lungs while this is not seen in a non-asthmatic human lung. If the findings can be conducted on a larger group of asthmatic patients, then research can be focused on targeting lung cells which will lead to developing treatments which could help patients who suffer from triggers like pollens and allergens. There are around 2.5 million asthmatic patients in Australia alone and around 330 million people worldwide who suffer from asthma. This research not only provides knowledge how cellular recycling system can modulate airway dysfunction in asthma, but also gives insight for finding new treatments to treat asthma. 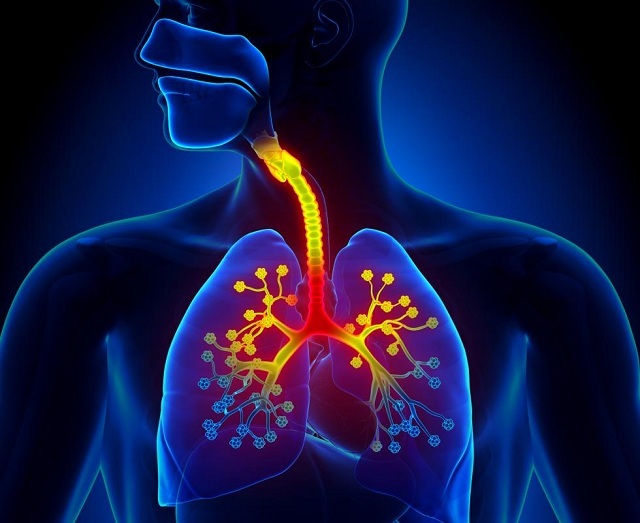 It can also help in treatment of other pulmonary diseases where fibrosis plays a vital role.